The Rural Development Institute at Brandon University. 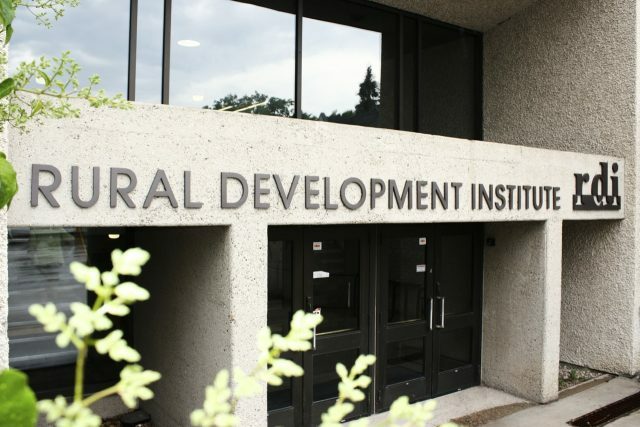 The deadline is fast approaching for business owners and leaders in southwestern Manitoba to share their experiences through a Rural Development Institute (RDI) survey aimed at strengthening the province’s agri-food industry. The purpose of the Rural Innovation in Manitoba (RIM) survey is to find the challenges faced by businesses as they grow and expand, as well as what steps they have taken to overcome them. The final day to complete the short RIM survey, available at fluidsurveys.com/s/rim-swsurvey, is Tuesday, Aug. 23. The Rural Development Institute at Brandon University has been conducting the survey over the course of the summer as part of a large-scale research project. “We have had a good response so far, but we would like to gather as much input as possible,” said RDI researcher Gillian Richards. Economic development offices, chambers of commerce and municipal officials in the region are also being asked for their input. The anonymous survey takes about 15 minutes to complete.